This post will teach you everything you need to know about Sky Overlays. What they are, how to use them, and even give you a free sample to try out! If you’re brand new to sky overlays, you’ve come to the right place! This post is designed to teach you everything you need to know to get started using them. Personally, I love that with Sky Overlays, I can completely change the mood of an image simply by replacing a plain sky with one that’s more dramatic. Ready to learn? Let’s dive in. What is a Sky Overlay? 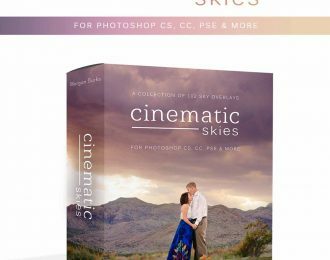 A sky overlay is an image file of a sky that you can insert and seamlessly blend into your photo using Photoshop. 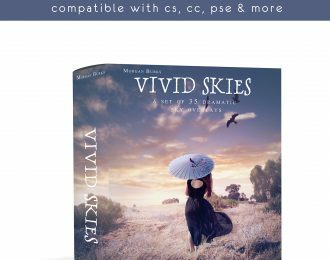 Sky Overlays are usually .JPEG image files and can come in an endless variety of styles; from blue skies to storm clouds, or from sunsets to starry night time skies. Adding sky overlays to your photos allows you to dramatize boring or plain skies, creating a more visually appealing final image. 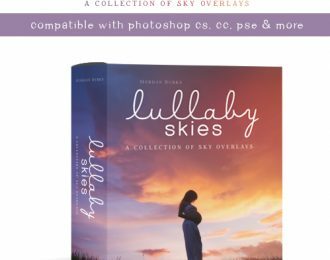 How do you apply Sky Overlays? When the box pops up, navigate to where you saved your sky overlays. Choose the sky overlay you want to use, and then click ‘Place’. The sky overlay will then open onto your image. Use the bounding box to stretch it to fit your photo. Be sure the edges of the sky overlay completely fill the sky area in your photo. 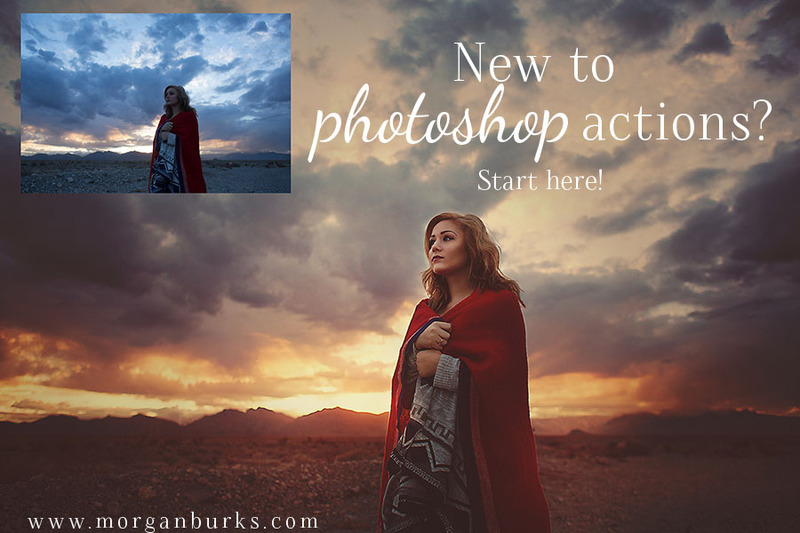 Next, change your sky overlay to ‘Multiply’ blend mode (this step instantly begins to believably blend the sky overlay with the skyline of your photo). Lastly, use a Layer Mask and a soft black brush to remove the sky effect from any areas that you don’t want it to show up! If you’re a visual learner, you can watch me apply a sky overlay in the video tutorial below! Plus, I’ll show you a few special techniques for an even quicker application. To continue learning, feel free to check out the other Sky Overlay Tutorials on the site. Click here for more sky tutorials! 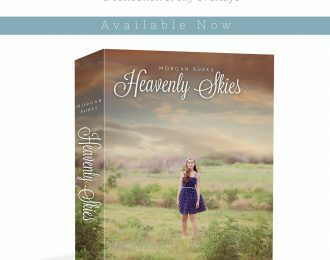 Where do I buy Sky Overlays? 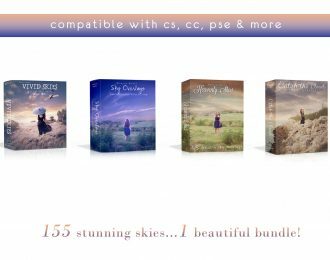 There are several Sky Overlay Collections available for purchase in my shop, including a whole section of $5 sets. You can browse the most popular collections using the display below, or click here to take a closer look at all the available options. click the button below to download a free sample you can start using right away. 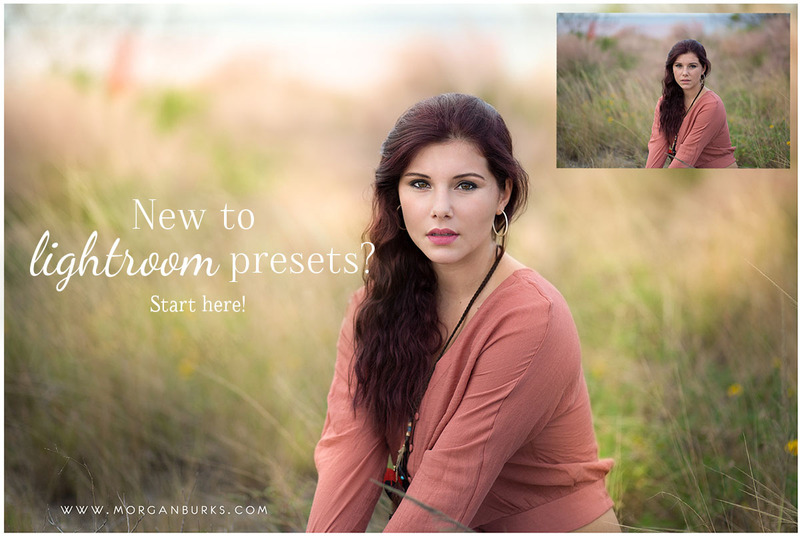 Click here to grab a Free Rainbow Sky Overlay! Fun tip: You can add to your collection of Sky Overlays for free just by snapping a shot of the sky whenever it looks pretty. When I first started building my collection, I’d take a photo of the sky from different angles at each of my photo sessions. Just be sure to save all of your Sky Overlays in a folder that’s easy to find to save time when editing.